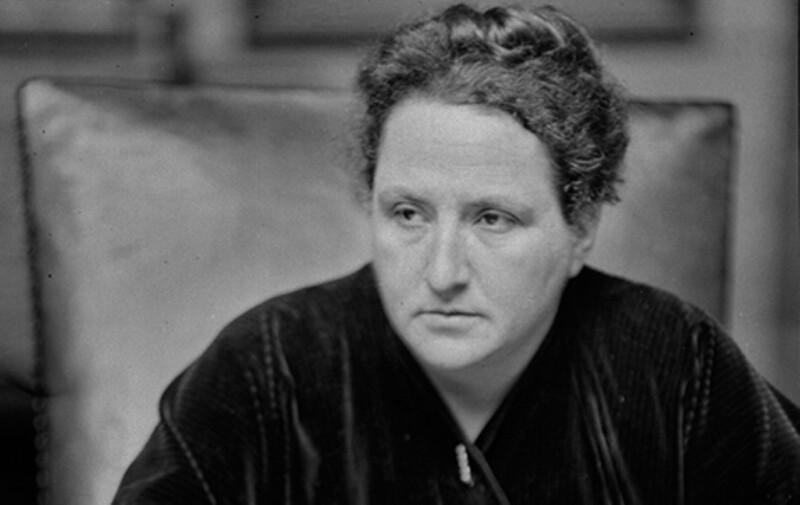 Image via Flickr/CC Gertrude Stein. San Francisco may have a reputation as the literary Mecca of the Bay Area, but many renowned writers have also played an integral role in Oakland's culture, both past and present. "There has always been a strong literary tradition in Oakland," notes Oakland Book Festival co-founder Kira Brunner Don. That tradition began soon after the city's founding and continues to evolve today. Jack London, of course, is the writer most closely associated with Oakland, where he lived much of his life. In 1886, when he was ten years old, London visited the Oakland Public Library and met Ina Coolbrith, a librarian who later became California's first poet laureate and who encouraged young Jack to pursue his interest in writing. London spent a great deal of his hardscrabble adolescence on Oakland's notoriously gritty waterfront, particularly in Heinold's First and Last Chance Saloon, where he frequently did his homework under the watchful eye of proprietor John Heinold, who served as a sort of father figure for the young man. The saloon is now a landmark in his namesake neighborhood, Jack London Square. As a teen, London found employment at Hickmott Canning Company at First and Filbert streets, enduring long hours and dangerous conditions for a measly ten cents an hour (about $2.66 in today's dollars). He soon left that job and spent the next few years as a sailor and drifter. In 1895, after returning to Oakland, London attended Oakland High School (then located at 12th and Jefferson streets) and wrote for the school newspaper, The Aegis. With the help of a loan from Heinold, he went on to UC Berkeley, but was forced to leave after a year due to his poor financial situation. He soon joined Alaska's Klondike Gold Rush, which inspired two of his most famous novels, The Call of the Wild and White Fang. Upon returning to the Bay Area, London lived in a wood-shingled house perched on a hill in what is now Piedmont, near his close friend, the poet George Sterling. London later moved to a ranch (now the Jack London State Historic Park) in the Sonoma County town of Glen Ellen, where he died in 1916. This year marks the centennial of his death. 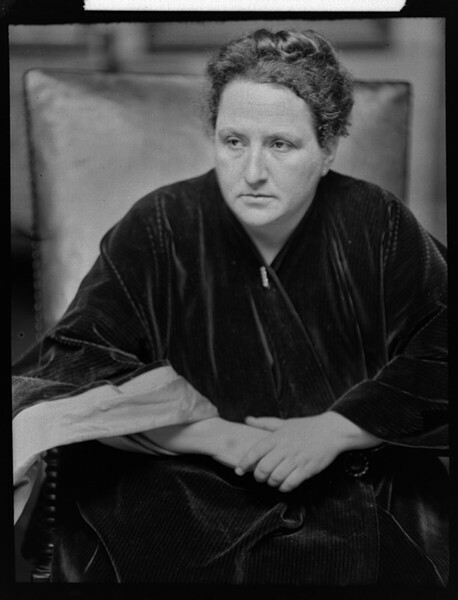 Like London, famed writer, poet, and art collector Gertrude Stein grew up in Oakland and attended Oakland High School. After her mother and father died in 1888 and 1891, respectively, she and her older sister, Bertha, moved to Baltimore to live with her mother's family. Stein left the next year to attend Radcliffe College. In 1903, she moved to Paris and became part of a group of innovative artists and writers, including Ernest Hemingway, F. Scott Fitzgerald, Pablo Picasso, and Henri Matisse, among others. Unlike London, whose life and work very much reflected the rough-and-tumble self-reliance that defined the early American West, Stein's childhood in Oakland sharply contrasted with the rest of her life, spent in the more established, cosmopolitan locales of the East Coast and Europe. Perhaps this dissonance is part of the reason that Stein's most famous quote about Oakland, "There is no there there," is often misconstrued as disparaging the city. Today, however, most literary scholars agree that the comment instead reflects the sense of displacement Stein felt during a 1935 visit, when she discovered that her childhood home (at what is now 13th Avenue and East 25th Street) had been demolished and that Oakland had undergone major changes, growing tenfold in the forty-plus years since she had left. In an effort to counteract the quote's negative connotation, two public art sculptures now proudly reclaim its key words: The brightly colored, abstract "There," created by Roslyn Mazzilli in 1988, is located in the City Center complex downtown; "HERETHERE," spelled out in 8-foot-tall steel letters, was designed by Steve Gillman and Katherine Keefer and installed on the Oakland-Berkeley border near the Ashby BART station in 2005. While London and Stein are two of the most famous Oakland writers, a host of other literary figures have called Oakland home at some point in their lives and careers. They include Joaquin Miller, Bret Harte, Ina Coolbrith, Delilah L. Beasley, Robert Louis Stevenson, Charlotte Perkins Gilman, Ambrose Bierce, Rod McKuen, Ishmael Reed, Amy Tan, and Maxine Hong Kingston, among many others. As diverse as this list is, Brunner Don sees a unifying theme in their work. "In many ways, writers from Oakland are writers from the West," she remarked. "There's a particular kind of independence that [touches] into all of their writing." Today, Oakland's literary tradition and diversity is celebrated at the annual Oakland Book Festival, which was started last year by Oakland native Brunner and her husband, Timothy Don, both of whom have a background in publishing. Discourse at the festival is "what makes Oakland vibrant and diverse — [not just] in terms of the people, but in terms of the ideas as well."